A year of rapid growth and expansion at the Price Center. In 2017-2018, we launched three new programs and initiatives – the Neighborhood Data for Social Change platform, the Homelessness Policy Research Institute, and the Southern California Symposium, the Price Center’s new executive education program in social innovation. 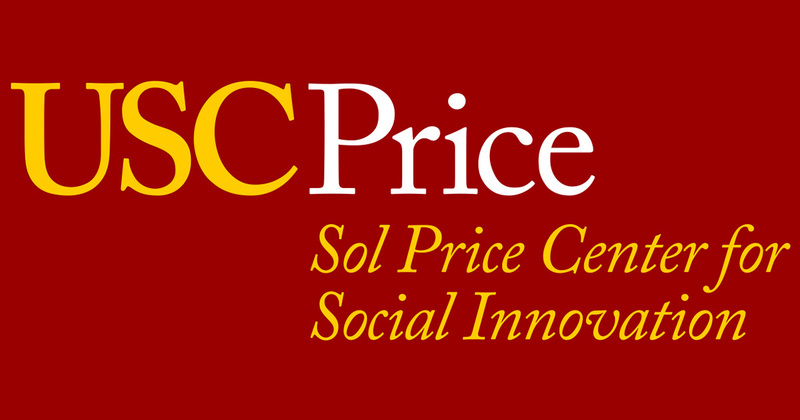 Additionally, the Tomás Rivera Policy Institute joined the Price Center, bringing an important expertise in immigration and demographic diversity to the Price Center’s work. And of course, research remains at the core of the Price Center’s mission. The projects described in our Annual Report reflect a selection of the Price Center’s current projects, and we continue to develop new research partnerships in a number of important policy areas pertaining to social innovation. With each of these activities, the Price Center is quickly emerging as a leader in the field of social innovation, which is due in no small part to the generous participation of our community partners.